House inspection services can seem daunting, even to homeowners who have kept their property in great condition throughout the years. 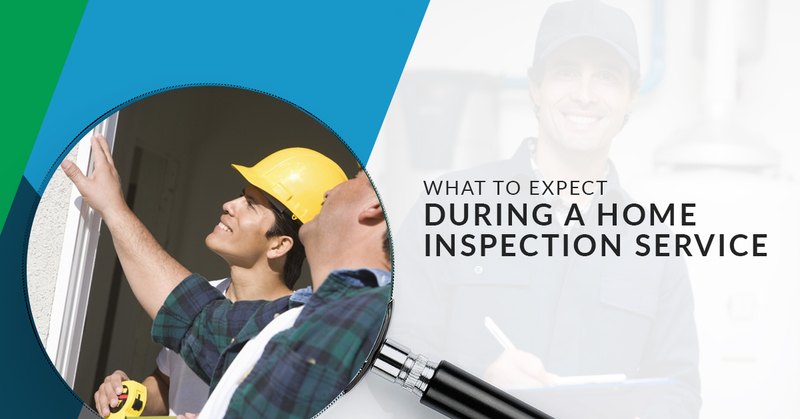 We have found that this is often because people aren’t always sure what they can expect when a home inspector examines their house. 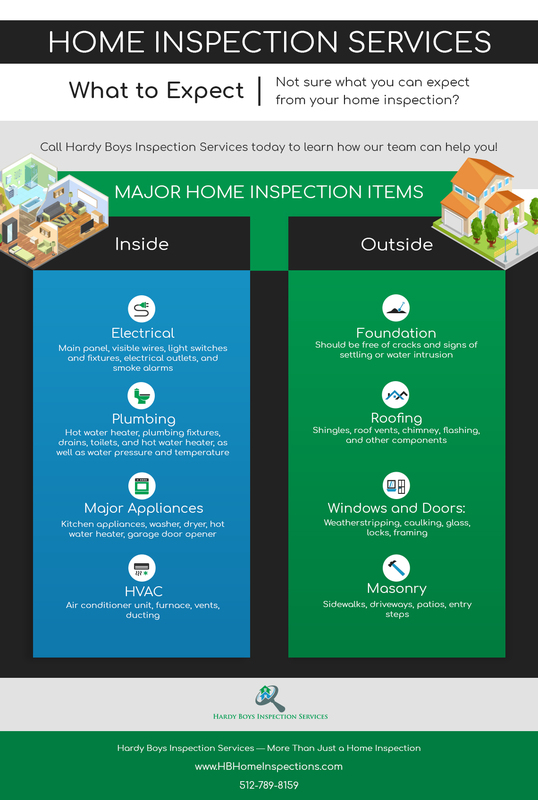 Here at Hardy Boys Inspection Services, we believe in 100 percent transparency in all of our projects, and because of this, we are happy to tell you exactly which parts of your home our team will inspect. Check them out below, then give us a call to schedule a home inspection in Austin or the surrounding areas. During the course of their inspection, home inspectors review the safety and functionality of your home’s electrical system. This includes examining the main panel and visible electrical wires to make sure they are in good condition, as well as testing light switches and confirming electrical outlet counts are up to code. Inspectors will also check your home’s plumbing system to rule out any issues. As part of this, they will flush toilets, turn on faucets, fill up sinks and drain them, and inspect visible plumbing lines. They will also inspect the hot water heater and ask about service records, and they will check the water pressure and temperature in your home. There are several major appliances in homes that inspections take a close look at. For example, they will check all major appliances in the kitchen to ensure they are working properly. Washers and dryers may also be inspected if they are being sold with the home, and your garage door opener will be tested to ensure it operates safely and properly. Your HVAC system is one of the most important appliances that will be reviewed during your home inspection. A detailed inspection of vents, air ducts, and other critical components can rule out potential problems, as can an air flow, efficiency, and diagnostics testing from a reputable HVAC contractor. No one wants to learn that their home has foundation issues, but a thorough inspection can provide you the opportunity to remedy issues before closing. Home inspectors check your foundation for cracks and other signs of trouble, and they also check the overall home to ensure it is structurally sound. Your roofing system is one of the most important components of your home. If your shingles are old or have some type of damage, the potential resulting interior damage can be catastrophic. Home inspectors review the condition of your roof, its vents, framing, and other components to confirm there are no repairs needed and no opportunities for leaks. In addition to the inspection items we have reviewed so far, home inspectors will also review the condition of your home’s doors and windows. This is to ensure frames have no evidence of rot, caulking is in good shape, and that the windows and doors are not negatively impacting the overall efficiency of your home. Are you getting ready to sell a home in the Austin area, or has someone made an offer on your home already? If so, then you can benefit from the affordable, thorough home inspection services offered by our team of experts. In addition to all of the major home components listed above, Hardy Boys Inspection Services also provides foundation measurements, thermal imaging scans, contractor referrals, and sprinkler system inspections, all at no additional cost to you. Other local home inspection companies simply can’t provide the same level of service and satisfaction that we do. Check out testimonials from dozens of pleased homeowners and contact our team today!